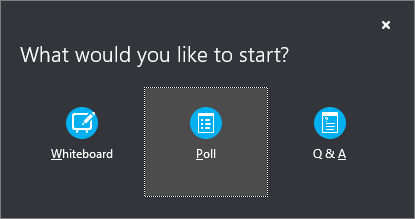 Polling is a great way to get people involved and interacting in your Skype for Business meeting and find out what they thin about the ideas you're sharing. In the meeting window, click the Present Content button . Click More, and then click Poll. 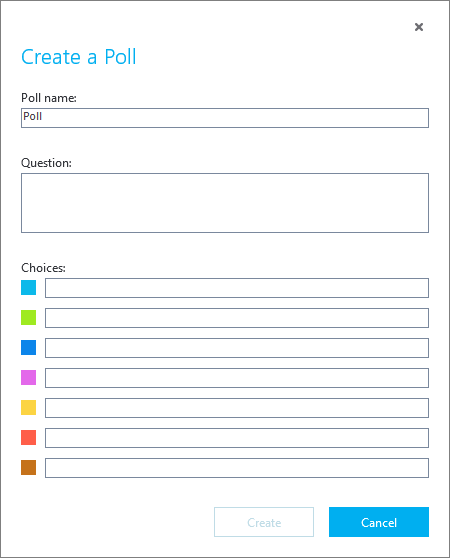 In the Create a Poll window, type your question and the answer choices and then click Create. The poll page opens in the meeting and results are shown to everyone as the participants select an option. 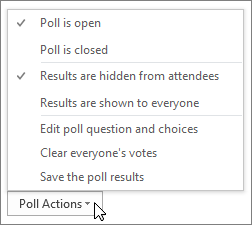 Click Poll Actions to manage the poll, such as open, close, edit, show, or hide results. When you're done, click Stop Presenting at the top of the meeting room. To delete a poll page, click the Present button, click Manage Content, and then click Remove.